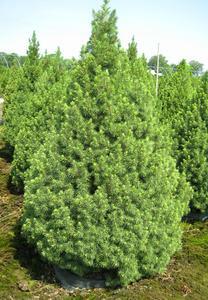 A compact, upright conical evergreen with light green foliage. Very slow growing and adaptable. Can be sculpted.